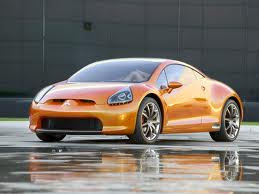 Chase Gregory: Mitsubishi Eclipse and Gallant to be "Phased Out"
One of the most influential cars on American soil came from Japan; the Mitsubishi Eclipse. With such line ups as the GS, the GS-T, and the GSX. 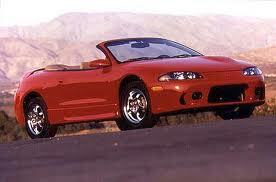 The GS was the Dual Overhead Cam Turbo, but the GSX was the Turbo All Wheel Drive that most Eclipse lovers had to have. With alittle bit of modifications under the hood, add some ground effects, some crazy color scheme, and you have every 8-13 year old boys dream car. The Eclipse has been in famous movies such as "The Fast and Furious" film series. Well now Mitsubishi is downsizing to have better profit margins and is getting rid of this world renowned sports car, as well as the Gallant sedan. According to Wiki and Automotive News, these American icons will be getting "phased out" and will be put to rest by 2014. I will definitely miss these cars when they become a rarity. But the spirit of a little kids dream car will still live on and I guarantee that there will be plenty more fun cheap sports cars to come. Like the Evo, oh wait, that has already been out and won't die under the Japanese knife. Way to keep things fresh Lancer.